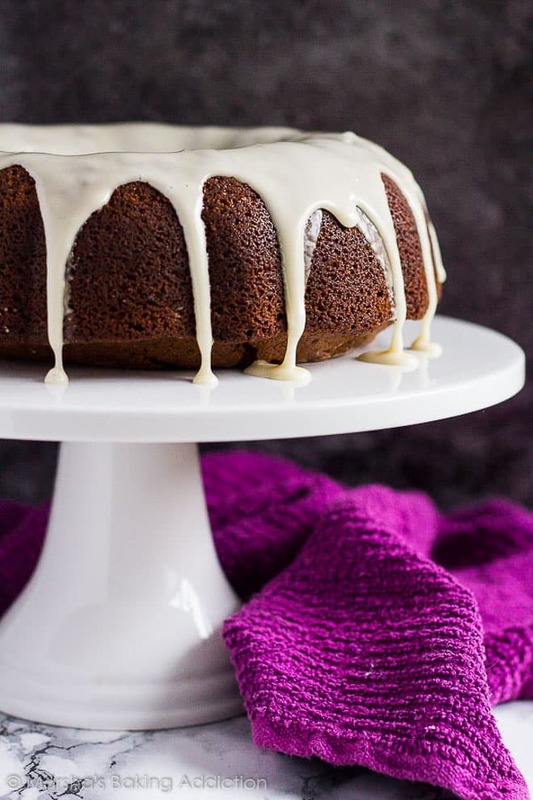 Nothing beats the warm, comforting flavours of ginger and molasses during the holidays, so today I bring you my deliciously moist and fluffy Gingerbread Bundt Cake! 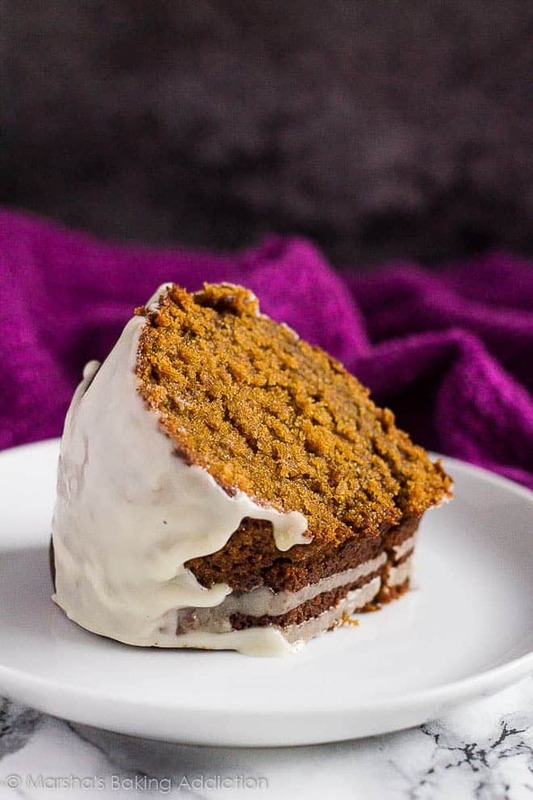 This is a quick and easy cake recipe that requires no mixer, because you’ll be using melted butter instead of creaming the butter and sugar together. This recipe calls for cake flour to create a beautifully light and fluffy cake, and Greek-style yogurt to add incredible moisture. The delicious spices used in this cake are ginger, cinnamon, and nutmeg. All my favourite autumn flavours together in one cake. A nice, big slice would go perfectly with a hot cup of tea or coffee on a cold winter’s day! 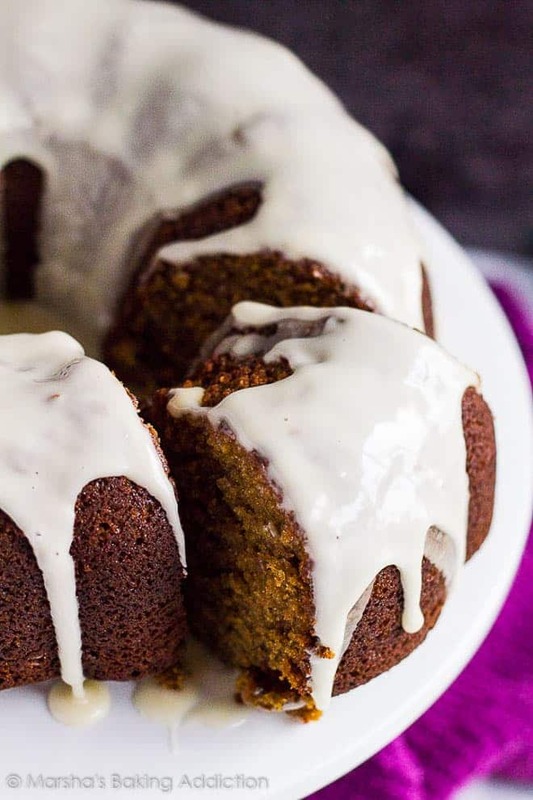 More bundt cake recipes to try next! I’m sharing today’s recipe over on >> Oh Sweet Basil <<, go check it out. Enjoy! No mixer?! Now this is definitely the kind of recipe I need for the holidays. And nothing beats gingerbread. Seriously. I never get sick of it. I love this! Oh my goodness. Marsha, this cake looks just PERFECT!!!! 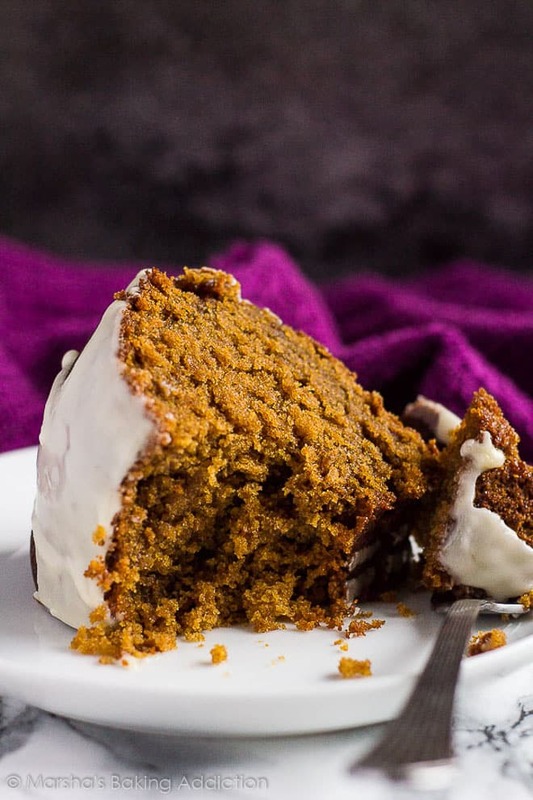 I am drooling over that ginger-spiced molasses cake! And the sweet maple glaze sounds like the perfect accompaniment! I could seriously eat a few slices of these for breakfast right now! LOVE IT! Cheers! Wow, this cake looks incredible! I love gingerbread! This looks delicious!! One question though, family is not a huge fan of maple syrup. Could I just omit that from the glaze? Hi Karen, you could use golden syrup, or even corn syrup in the glaze instead! This looks like the perfect cake for Christmas, but the last time I made a gingerbread cake, it was so dense, and it “shrunk” in my bunt pan. I might have used plain flour, since I am lazy/broke like that. Would cake flour make the cake”fluffy” and spongy?